Vans is offering: Enjoy 15% off regular-priced items and get an additional 10% off sale items. 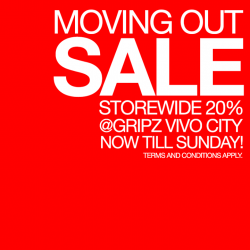 Valid at all outlets except Vans concept stores within departmental stores. Zalora Singapore is having a shoes promotion. Enjoy 40% off selected Steve Madden and Nine West shoes from 13 – 15 Nov 2014.
it News! Enjoy 50% off your second pair of shoes or accessories from now till 19 Nov! Non-applicable for AAPE and :CHOCOOLATE crossovers. Warehouse Sale! 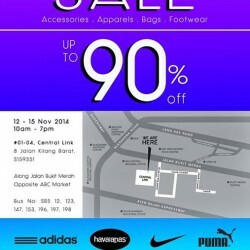 Get up to 90% OFF accessories, apparel, footwear and bags from brands including Puma, Nike and Adidas! Enjoy! 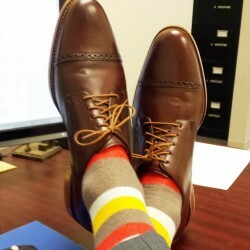 Cole Haan is one of America's premier luxury brands epitomized artisan quality and impeccable craftsmanship. A classic lace-up oxford offers Cole Haan's signature stylelines. Amazon now offers Cole Haan Men's Lenox Hill Cap Oxford(retailing in US at US$198) at US$95.04 with $19.13 shipping. 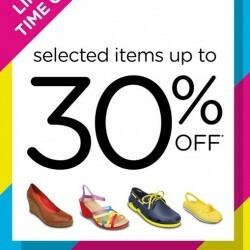 Happy news for the mid week: Crocs brings you up to 30% off* on selected styles. Do some shopping today! For a limited time only. Enjoy! 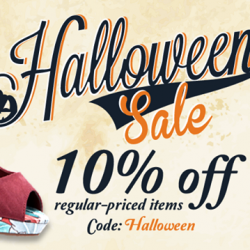 Spend US$100 on shoes and handbags from Amazon and receive a 20% off your total bill! Note that goods have to be sold and shipped by amazon. And enjoy free shipping on orders over US$125! 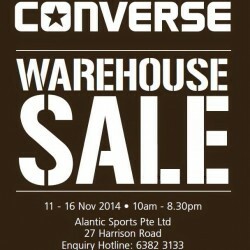 Converse is having a Warehouse Sale at Harrion Raod from 11 – 16 Nov 2014. Visit them today to enjoy various products discounts. Keep it cool with the SWGROME leather sandals - features grommet detailing along the leather strap and twist to a buckled ankle strap. Plus, get additional 20% off on 2 or more sales items/extra 30% off on 4 or more sale items. Share the good stuff. Sale ends 13 Nov. 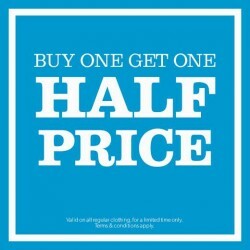 Enjoy your 2nd piece of regular clothing at 50% off! Browse from the lovely new arrivals at all New Look stores #313Somerset, Bugis+, Citylink, Citysquare, Tampines1, Westgate. The Timberland sale starts NOW! 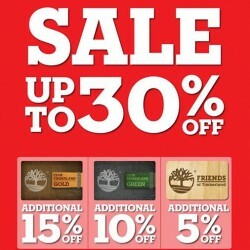 Enjoy savings up to 30% and additional discounts with your Club Timberland membership. 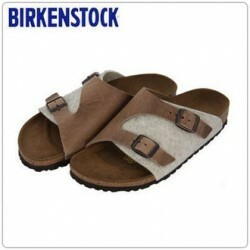 Rakuten.com.sg offers Extra 40% OFF Birkenstock with the 35% OFF coupon code + 5% when you pay with mastercard (use your PC to complete the transaction). The deal is valid on 11 Nov 2014. The deal is valid on 11 Nov 2014.
shopbop.com offers Up to 70% OFF Tory Burch Shoes/Apparel/Accessoreis Sale. Free shipping to China and Singapore with min. spending of US$100. Free shipping to China and Singapore with min. spending of US$100. HELLO NOVEMBER! Let's say hello to fall with November promotions. Get 20% off Adidas & Puma items and enjoy additional 10% off for receipt purchase above $200 nett on Adidas & Puma. Direct shipping to Singapore is provided with additional cost. 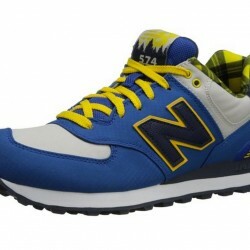 Amazon offers extra 20% OFF New Balance Men's ML574 Camper Pack Running Shoe for US$63.69 with the coupon code shown below. Additional US$11.05 shipping charge to Singapore. Free shipping with min. spending of US$125. Additional US$11.05 shipping charge to Singapore. Free shipping with min. spending of US$125. Breadtalk offers up to 80% OFF shoes from brands such as Nine West and Steve Madden on Shoes Warehouse Sale! 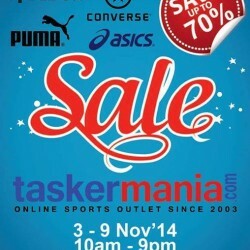 Taskermania Sports Sale! Get up to 70% OFF sports brands including Adidas, Reebok, Puma, Asics and Converse! Direct shipping to Singapore is provided. 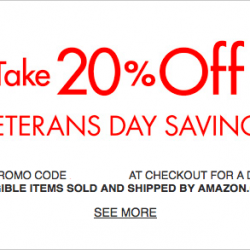 Check out Amazon's offer for men's apparels on Veteran's day! Gentlemen, get all your essentials with a 20% off discount on Men's shoes, clothing, watches and accessories! And enjoy free shipping to Singapore on orders over US$125. Free shipping on orders over US$125. 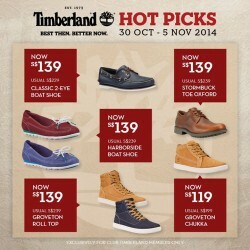 Club Timberland exclusive: Last 3 days only! If you're looking to expand your footwear collection fit for all occasions, now's the time to do it. Final 3 days Moving Out Sale! Head down to Vivocity outlet #02-190 to enjoy 20% OFF STORE WIDE. Don't miss it. Amazon offers Minnetonka Women's Kilty Moccasin,Brown for US$37.03 with US$10.15 Shipping to Singapore. Free shipping with min. spending of US$125. Free shipping with min. spending of US$125.